London, Jan 16: English football club Manchester United's coach Louis van Gaal has said out-of-favour Colombian striker Radamel Falcao needs to prove himself at the club. "He has to prove himself. We have made a deal and everything is clear. It's not the end of the year so he has a chance," Van Gaal was quoted as saying by the Daily Mail on Friday. The Dutch coach also revealed that Falcao's heavy wages did not guarantee him a place in the side. He also refused to reveal whether the Colombian would return to the squad at an English Premier League game against Queens Park Rangers on Saturday. “If a player cost 95 million pounds or 5,000 pounds it's not any different for me. You have to prove yourself. You'll have to wait and see, when I say that a part of my line-up is known and I make it easy for my opponent,” he added. 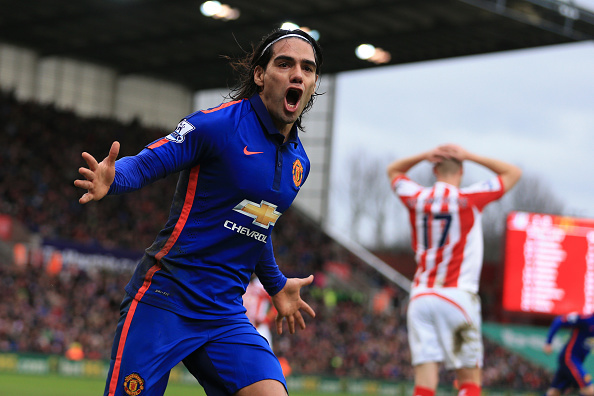 Falcao is believed to be paid 40,000 pounds per day and has scored only thrice this season. Van Gaal also believes that comments by Falcao’s agent, Jorge Mendes earlier this week on his future were unhelpful.